Xi'an Thiebaut Pharmaceutical Packaging is a large Sino-Belgium joint venture, established in May 1999 with a total investment of RMB125 million by Global Printing Co., Ltd, Shaanxi Hanjiang Pharmaceutical Group Co., Ltd. and TS Flanders of Belgium. TS Flanders is a holding company, with the Thiebaut family and Horsten International as its shareholders. Being equipped with state-of-the-art production lines imported from Germany, Xi'an Thiebaut is specialized in the extrusion and printing of collapsible aluminum tubes for various markets: pharmaceutical, cosmetics, food, chemicals etc. Xi'an Thiebaut has become a major reference in this niche industry in China. It has about 30% of the Chinese market and is considered to be the number one supplier in this niche industry in China. Thanks to the close relationship with its key customer Xi'an Janssen, the company succeeded to become profitable in a very early stage and since 2005 dividends are being paid to its shareholders. Today still about 25% of its yearly turnover is supplied to Xi'an Janssen, additionally Xi'an Thiebaut delivers its products to all major multinational and Chinese companies which are using high quality aluminium tubes. Xi'an Thiebaut currently employs around 180 people. In June 2012 a third production line was installed. 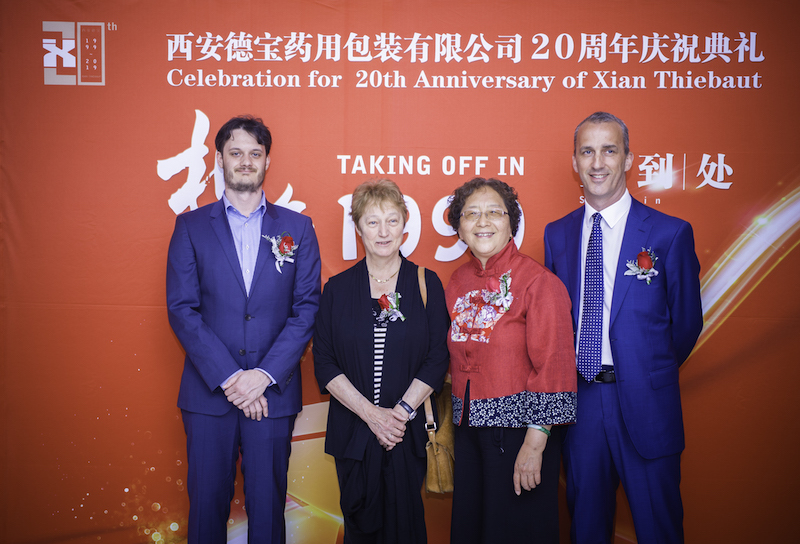 In May 2019 Xi'an Thiebaut will celebrate its 20th anniversary. Horsten International was involved in this project from the early beginning. Thanks to its strategic advise, Horsten convinced the Thiebaut family to negotiate a joint venture instead of a technology transfer. Furthermore, Horsten assisted the Thiebaut family to prepare the feasibility study, the negotiation of favourable contracts with the Chinese partners, assistance in the design and preparatory phase of the joint venture, as well as the financing of its share contribution through the Flanders Asia Fund. As a compensation for these services Horsten International became a minority shareholder in the joint venture through a participation in TS Flanders. Joos Horsten was appointed as board member of the Joint Venture, as one of the three board members representing TS Flanders. 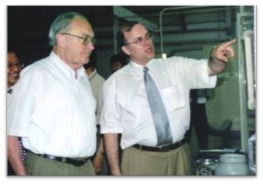 After Joos' death in 2008, Bart Horsten replaced his father as a board member. Over the years Horsten has built good relationships with the Chinese partners and the Chinese management of the joint venture, one of the key values of this succesful joint venture. Today the joint venture is still very succesful and profitable and ready to grasp the opportunities and challenges which the Chinese pharmaceutical and cosmetic market is facing.